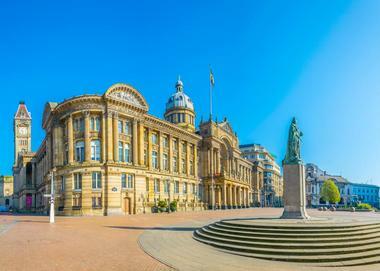 Birmingham is a city where visitors can indulge their inner child at Cadbury World, with a pot of liquid chocolate and choice of sweets, enjoy award-winning cuisine at some of the finest restaurants, or peruse a historic quarter that is lined with everything from world-class jewelry manufacturers to cozy cafés. The city is filled with several Industrial Revolution-era structures and landmarks that pay homage to its position as a manufacturing powerhouse during the 18th Century. Aston Hall is a marvelous 17th-century, red-bricked mansion that is situated within a picturesque park in north Birmingham, England. Designed by John Thorpe, the mansion was built between the years of 1618 and 1635 and was a premier example of Jacobean architecture. The mansion has had several owners throughout its history, including James Watt Junior from years 1817 – 1848. Visitors can walk the halls that once received royalty, explore a place that was once besieged during the historically defining English Civil War, and bask in a setting that inspired in author. 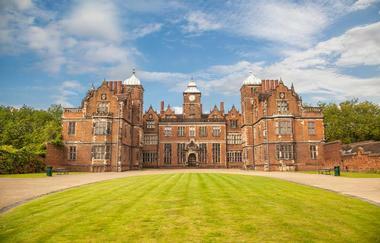 Aston Hall is listed as a Grade I Jacobean house in the city of Birmingham. Barber Institute of Fine Arts is a concert hall and art gallery that is located in the city of Birmingham, England. It is housed within one of the city’s finest Art Deco buildings, which was designed by Robert Atkinson and recognized as one of the architect’s greatest achievements. After its opening, The Times opined that the building was “the purest example of his work” in regards to architect Robert Atkinson. In 1946 the Royal Institute of British Architects awarded the building a bronze medal, and in 1981 the structure was given a Grade II designation by the Department of the Environment. The museum houses several large collections that include paintings, drawings, sculptures, and historic artifacts. The Birmingham Back to Backs are the last court of 19th-century back-to-back houses located in Birmingham, England. These two and three-story houses were popular in Birmingham during that time period, especially in inner-city areas like Highgate, Small Heath, Aston, Handsworth, and Ladywood. The court received a Grade II designation by the Department of National Heritage in the year of 1988. In 1995 the Birmingham City Council commissioned the Hereford Archaeological Unit to record and survey the remaining back-to-back houses. Visitors can enjoy pre-booked, guided tours of these restored time capsules and learn all about their rich history. Patrons won’t want to forget about grabbing some candy from the 1930s sweet shop on their way out. Birmingham Botanical Gardens is a large botanical garden with four stunning glasshouses that showcase flora ranging from arid desert to tropical rainforest in Birmingham, England. On top of providing some of the United Kingdom’s most beautiful gardens, the complex is also equipped with a tearoom, garden gift shop, and playground. The gardens boast over 7,000 different kinds of plants, including The British National Bonsai Collection. The gardens also feature a 250-year-old Juniperus Chinensis specimen named the “Omiya Tree,” presented in an informal upright style. Visitors will also see a modest collection of beautiful, exotic birds from all over the world, such as quaker parakeets, azure-winged magpies, Himalayan monals, and white-cheeked turaco. 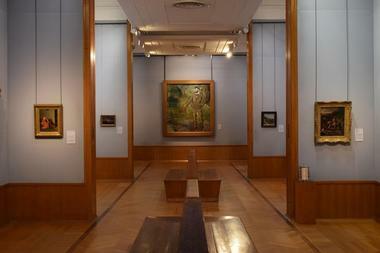 Birmingham Museum and Art Gallery is an art gallery and museum that is located in Birmingham, England. Established in 1885, the museum and gallery are housed within a designated Grade II, city-center, landmark building. The building contains over 40 galleries that display works from local and industrial history, ethnography, archaeology, natural history, jewelry, metalwork, ceramics, and fine art. Visitors can learn about the Staffordshire Hoard in a gallery dedicated entirely to the discovery of the largest Anglo-Saxon stash of gold ever found. The gallery is well-known for the Pre-Raphaelite paintings that are among the largest Pre-Raphaelite, public collections in the world. In addition to its permanent collections, the gallery offers a diverse exhibition program that changes throughout the year. Birmingham Wildlife Conservation Park is a modest zoo that is situated at the edge of Cannon Hill Park, Birmingham, England. The park features a small and unique collection of animal species from all over the world, including monkeys, wallabies, birds, otters, meerkats reptiles, lemurs, and Red Pandas. Many of the animals at this wildlife park are endangered species, which means the park plays a vital role in continuing conservation efforts. Visitors will get to see zookeepers feeding different species of animals throughout the day, such as porcupines, Asian Short-Clawed Otters, Emperor Tamarins, and Squirrel Monkeys. The park offers an excellent setting for engaging visitors in citizenship skills, numeracy, literacy, science, and environmental projects. Black Country Living Museum is a large, open-air museum that consists of reconstructed historic buildings in Dudley, England. It is situated at the heart of Black Country, approximately 9.7 miles west of the city of Birmingham. The award-winning corner of West Midlands is considered to be one of the United Kingdom’s finest open-air museums. It’s a charismatic village with interesting residents to engage with, stories to hear, things to be made, trams to ride, and games to play. Visitors will have the chance to enjoy the village’s animals, transport collections, local pubs, underground mine, shops and houses, live demonstrations, and fairground. 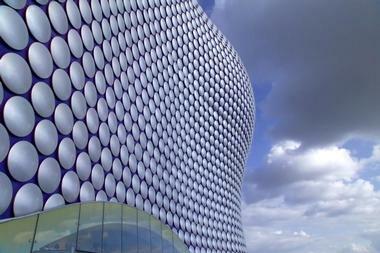 Bull Ring is a shopping center and major commercial area located in Birmingham, England. The market’s history dates all the way back to 1154 when a local landowner by the name of Peter de Bermingham had obtained a Charter of Marketing Rights from King Henry II. Some of the market’s first businesses included a purveyor, tailor, blacksmith, and four weavers. Today the market is one of the busiest within the United Kingdom, as more than 30 million tourists and shoppers visit the center each year. There are magnificent art pieces on display all around the shopping center, including the Bullring Bull, a 1,290-square-foot mural made of glass by renowned artist Martin Donlin, and the Statue of Lord Nelson. 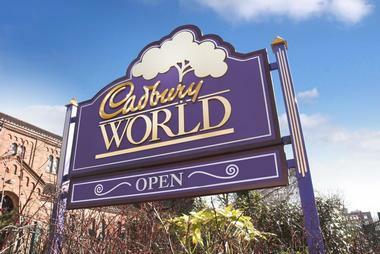 Cadbury World is an attraction that features self-guided tours that have been created and are overseen by the Cadbury Chocolate Company. There are two of these unique locations that exist in the world, one in Birmingham, United Kingdom, and the other in Dunedin, New Zealand. Visitors will appreciate the interactive activities that are fun for the whole family, including the 4D Chocolate Adventure, Manufacturing, Purple Planet, the Making Chocolate Story, Chocolate Making, Have A Go, Aztec Jungle, and the African Adventure Play Area. Visitors will want to make sure they make a pass through the ‘World’s Biggest Cadbury Shop’ to take advantage of special offers, load up on Cadbury treats, and grab some souvenirs. Cannon Hill Park is a picturesque park that offers plenty of opportunity for outdoor recreation in south Birmingham, England. The park covers 120 acres of woodland plantation and conservation, as well as 80 acres of pristine, formal parklands. 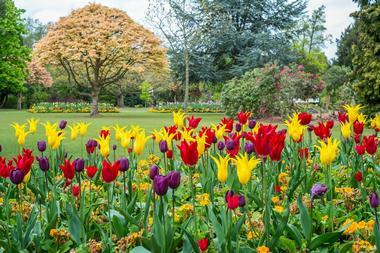 Some of the park’s top attractions include Golden Putter – a 36-hole miniature golf course, the Land Train, Mac Birmingham, and the B’Ham Wildlife Conservation Park. Visitors can enjoy fun outdoor activities such as Swan Lake Boating, fishing, cycling, mountain biking, hiking, running, and tennis. 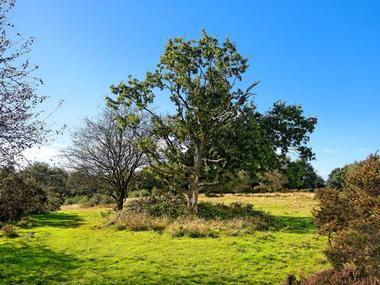 Visitors can also partake in the Tree Walk – a walking tour designed for people who are interested in learning more about Cannon Hill’s plants and trees. 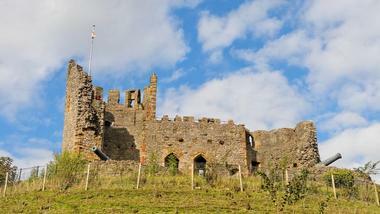 Dudley Castle is an old ruined fortification that is located in the small town of Dudley, England. Originally a motte-and-bailey castle after the Norman Conquest, Dudley Castle was rebuilt into a stone fortification in the 12th century. After a period of time, orders were passed by King Henry II to have the castle demolished, and in the 13th century, reconstruction of the castle began again. Some of the main points of interest around the castle include the cannon, east watch tower and Elizabethan gatehouse, the stable block, chapel block and great chamber, and Sharington range. 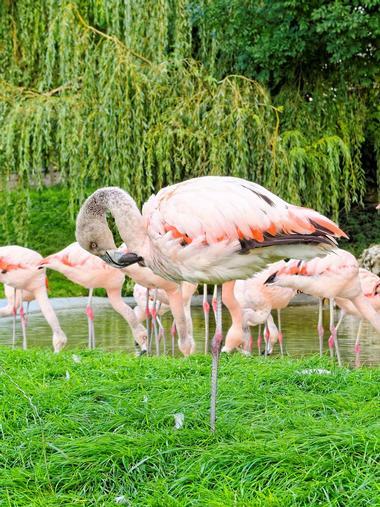 Dudley Castle is also home to the Dudley Zoological Gardens, making this an attraction that is excellent for the entire family. Dudley Zoological Gardens is a beautiful, 40-acre zoo that is situated on the grounds of Dudley Castle, within the charming town of Dudley, England. The zoo first opened in May of 1937 and is home to over 1300 animals, some of which are the rarest species in the world. DZG offers so much more than its zoo, including England’s only vintage chairlift, the largest collection of Modernist Tecton structures, and hundreds of endangered and exotic animals located on a historic wooded hillside. DZG aims to provide visitors with vital information in regards to conservation through educational activities. 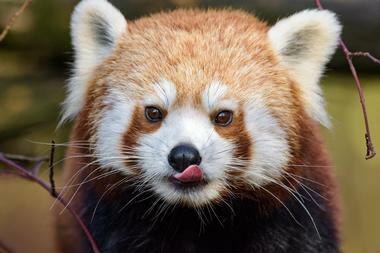 Many of the zoo’s global conservation projects have garnered prestigious awards. 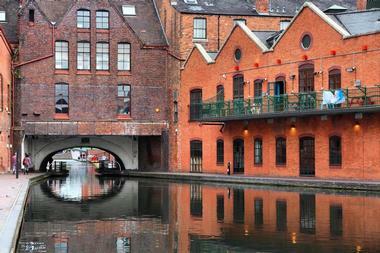 Gas Street Basin is a popular canal basin that is situated at the heart of Birmingham, England. This particular location is where the Birmingham and Worcester Canal meet the BCN Main Line. The Birmingham Canal was completed in the year of 1773 and is terminated at the Old Wharf, beyond Bridge Street. In the 1990s, many older buildings around the basin were refurbished, and much of the surrounding area was redeveloped. There are several popular attractions around Gas Street Basin for visitors to explore, including the Karaoke Box, Symphony Hall, International Convention Centre – Birmingham, Ikon Gallery, and Hall of Memory. 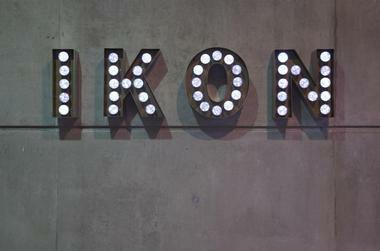 Ikon Gallery is an English, contemporary art gallery that has received international acclaim, located in Brindleplace, Birmingham. The gallery is housed within a marvelous neo-gothic school building; its primary purpose is to serve as an educational charity that works to promote public engagement through exhibiting contemporary art. The gallery program features artists from all over the world. Some of the exhibits visitors will see include installations, sculptures, paintings, photography, mixed media, film, and sound. Visitors will appreciate the gallery’s close proximity to the New Street Station, it’s about a 15 minute walk. Entry is free, although it’s important to note that the gallery maintains operation through the generosity of businesses, patrons, and visitors. 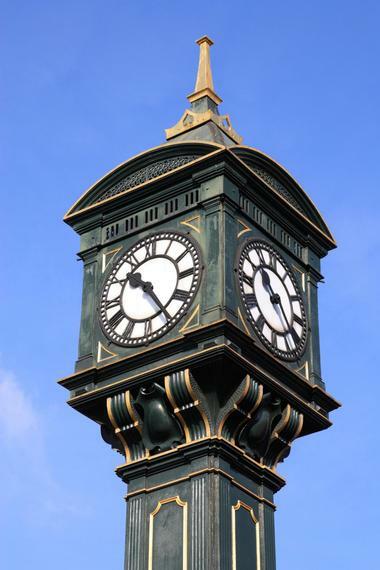 The Jewellery Quarter features one of the largest concentrations of jeweler manufacturers in all of Europe, and it’s situated in Birmingham, England. Visitors will find that many of the jewelers combine the absolute best of innovative design and traditional craftsmanship while using the highest quality of materials; the quarter churns out some incredibly beautiful custom jewelry. 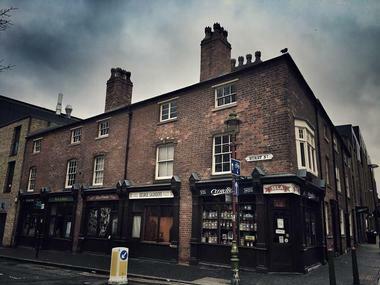 There are several other businesses that have made their way into this historic quarter, such as home furnishings, florists, chocolatiers, drink merchants, apparel, and more. Some of the quarter’s top brands to shop include the Creative Watch Company, Newey’s Jewellers, Mitchell & Co., and Samson Gold Ltd.
Kingsbury Water Park is a beautiful country park that is situated in north Warwickshire, England, near the city of Birmingham. 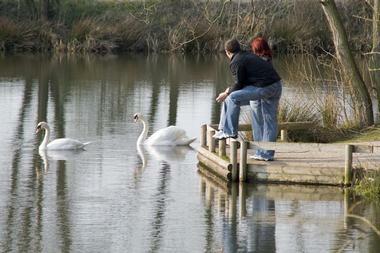 The park features 15 different lakes that are sprawled around its 600 acres of picturesque landscape. The park is equipped with an information center, restrooms, parking, picnic areas, camping areas, bird hides, surfaced paths, and a café. Visitors will have several land activities to choose from, including horseback riding, mountain biking, hiking, running, and dog walking. There are also plenty of water activities to enjoy, such as boating, sailing, fishing, and swimming. The park offers several events throughout the year that include the Toddler Trundle, Basic Survival Skills, and the Nocturnal Walk. Originally opening in October of 1984, the National Motorcycle Museum is considered to be one of the world’s largest and finest British motorcycle museums. The building features a museum and conference facilities, and is situated on 8 acres of land in Bickenhilll Solihull, England. 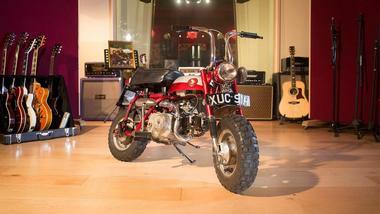 The collection started relatively large with 350 motorcycles, it now boasts over 1000 machines that have been fully restored to original manufacturers’ specifications. Since the very beginning, the museum quickly became one of the busiest motorcycle museums in the world, and now receives approximately 250,000 visitors each year. Visitors will see bikes that range from the very first machines dating back to 1898 to today’s latest British superbikes. National Sea Life Centre is a large aquarium that features over 60 different displays of salt-and-freshwater marine life in Birmingham, England. 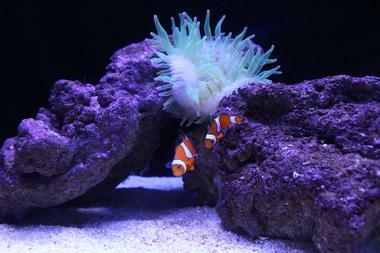 The aquarium is equipped with the United Kingdom’s only 360 degree, fully transparent, underwater tunnel. Its massive one-million-liter ocean-saltwater tank houses a variety of tropical reef fish, blacktip reef sharks, and giant sea turtles. The aquarium is divided into several fun and interactive zones that include the Ocean Tunnel, Ocean Tunnel 2, Jelly Invaders, Bay of Rays, Shark Lagoon, Octopus Hideout, Clownfish Kingdom, Reed Edge, Seahorses, Rockpool, and Penguin Ice Adventure. On top of having the opportunity to see these magnificent sea creatures up close, visitors will also get to learn all about the importance of protecting them. Visitors can immerse themselves in the fascinating world of calligraphy and pens at the Pen Museum in Birmingham, England. The museum holds the distinct honor of being the only one devoted to the pen making industry’s history in the United Kingdom. The museum explains in great detail how the city of Birmingham became the heart of the world’s steel pen trade. The museum features over 5,000 objects that relate to the history of writing and the Birmingham steel pen trade. Visitors will learn about how the Jewellery Quarter, and the more than 100 pen factories it housed, supplied nearly 75% of all pens used in the world during the 19th Century. Sandwell Valley Country Park is an award-winning Green Flag country park that is located in Sandwell Valley, in West Bromwich, England. On top of two operating farm visitor centers, the park has an RSPB visitor center, farmland, meadows, woodlands, mountain bike trails, nature areas, and an adventure playground. Some of the recreational facilities and activities include the adventure center, pathways for walking, horseback riding, cycling, a pitch and putt course, tennis courts, crazy golf, and football pitches. There are also open-top bus and tractor-trailer rides available for visitors to enjoy. Guests will have a blast at this restored Victorian farm, learning all about its rich history, and partaking in all of the fun recreational opportunities. 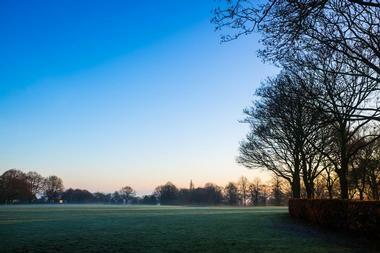 Sutton Park is a large National Nature Reserve that is located in Sutton Coldfield, Birmingham, England. There’s a section of the park that is dedicated to a Scheduled Ancient Monument. The park delivers a feel of wilderness within the surrounding urban environment. Visitors can enjoy the park’s captivating scenery, using a network of easily-accessible pathways. A few of the recreational activities that are commonly seen here include nature watching, cycling, angling, jogging, and walking. The park covers an area that spans approximately 2,000 acres, and receives over 2,000,000 visitors each year. 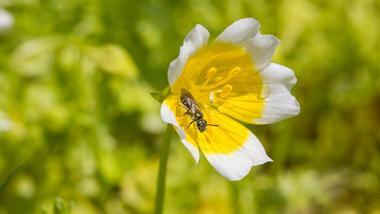 The park is an important location for flora and fauna conservation, and is a Site of Special Scientific Interest. Visitors to Birmingham, England, will have the opportunity to step back through time at The Coffin Works museum. 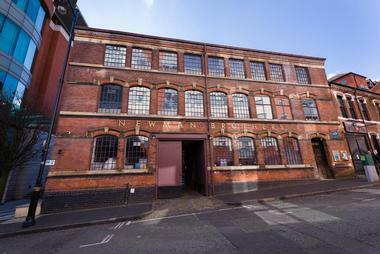 The factory is listed as grade II and is located in the city’s Jewellery Quarter. 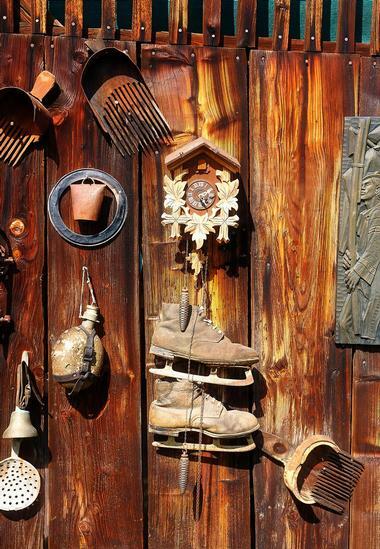 The museum’s contents help tell the story of the factory workers that once roamed its floors. Newman Brothers was Birmingham’s last factory that was devoted to coffin furniture, and in 1998, after more than 100 years of operation, the workers vacated the factory for the last time, leaving behind personal items, equipment, everything. Today this unique time capsule can be explored via guided tours, where visitors can behold one of Birmingham’s finest industrial legacies. The Electric, Birmingham, is a sound recording facility and cinema that is located in Birmingham, England. Opening its doors for the first time along Station Street in 1909, the cinema showed its first film on the 27th of December that year. 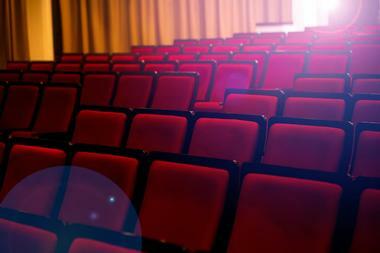 It is now recognized as the oldest operating cinema in the United Kingdom and home to a bar and wait-service, Sofas. The cinema is equipped with two digital screens that show a combination of the latest classic, foreign, independent, and quality mainstream films. There are a variety of food items for visitors to enjoy that range from desert ice creams to cakes to fresh deli platters. Thinktank, Birmingham Science Museum is an award-winning science museum that offers a fun and enlightening setting that’s perfect for the whole family. 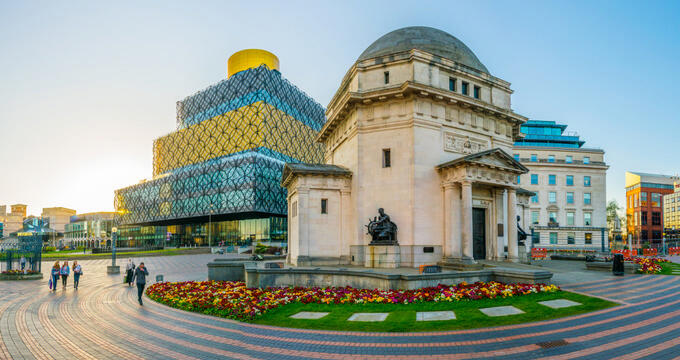 The museum is located in the heart of Birmingham, England, and opened its doors for the first time in 2001. 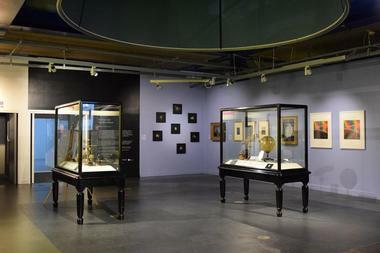 Thinktank is part of the Birmingham Museums Trust and is situated within the impressive Millennium Point building. Visitors can wander the museum’s four floors of historical collections and hands-on exhibits that will inspire and amaze them with the world’s science. Between the exciting program of activities and events, the Planetarium, and Science Garden, visitors are sure to enjoy an eventful and unforgettable time. Winterbourne Botanic Garden is a magnificent botanic garden that belongs to the University of Birmingham, in Birmingham, England. 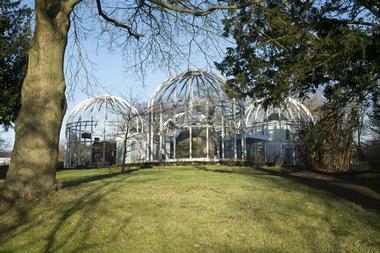 The garden is situated adjacent to the Edgbaston Pool, a Site of Special Scientific Interest. This seven-acre oasis is just minutes from the heart of the city and is home to more than 6000 different kinds of plant species. Winterbourne is among the finest surviving examples of Edwardian Arts and Crafts suburban villa gardens in Birmingham. It was lovingly and masterfully created by homeowners, John and Margaret Nettlefold, following the principals outlined in the Gertrude Jekyll books for inspiration and guide. Today visitors can tour the grounds and enjoy the breathtaking views with a true sense of tranquility.